Encore Capital Management recently celebrated the topping off of the hotel portion of Margaritaville Resort Orlando. The 187-room Margaritaville hotel is expected to open in November of 2018. 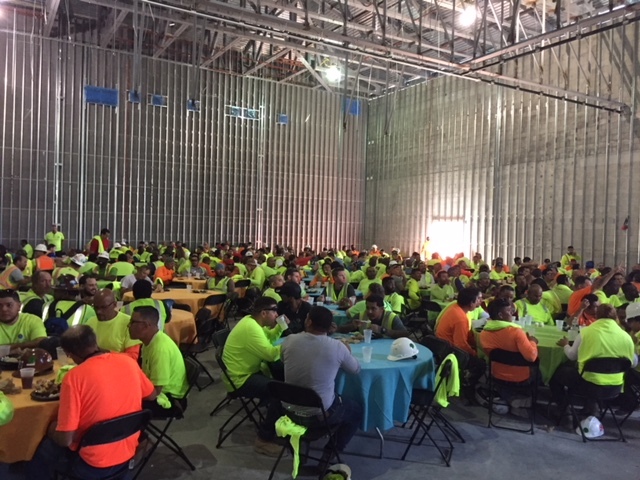 The Encore team was in Orlando to celebrate with the more than 500 members of the construction team. Margaritaville Resort Orlando is a $750 million, 300-acre development offering the 187-room Margaritaville hotel, 900 resort rental homes, 300 timeshare units and a 12-acre, multi-million-dollar water park. The project, which sits on 40 acres of lagoons and lakes, is currently under construction near U.S. Highway 192 and State Road 429 in Osceola County, across the street from Disney’s Animal Kingdom.